Recently my friend Anya visited me for a weekend. Every trip I try to show her a different neighborhood in Manhattan. 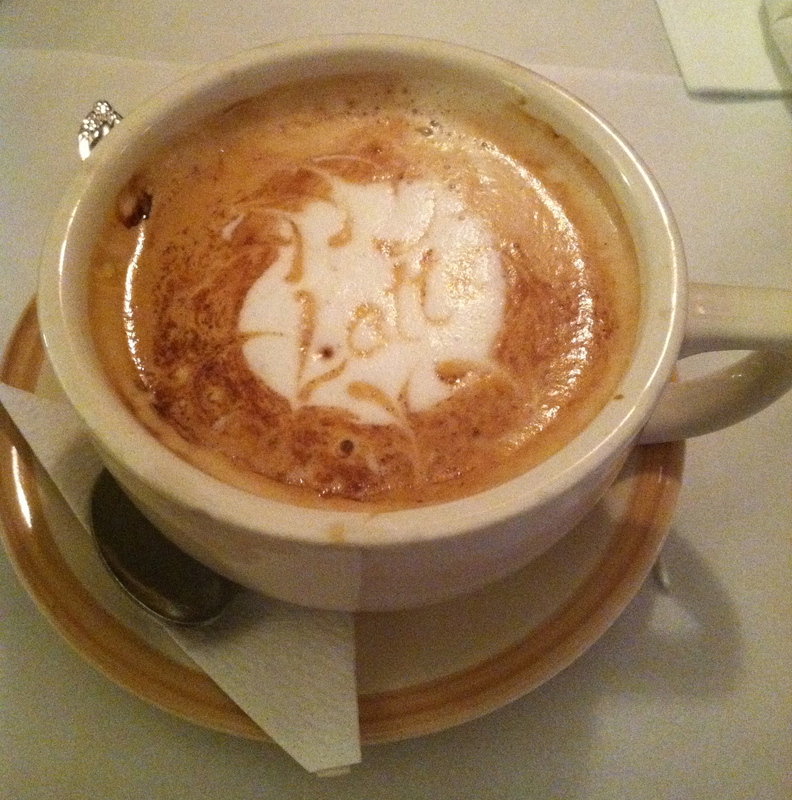 For this visit we picked Harlem and were joined by our friend Beurre. 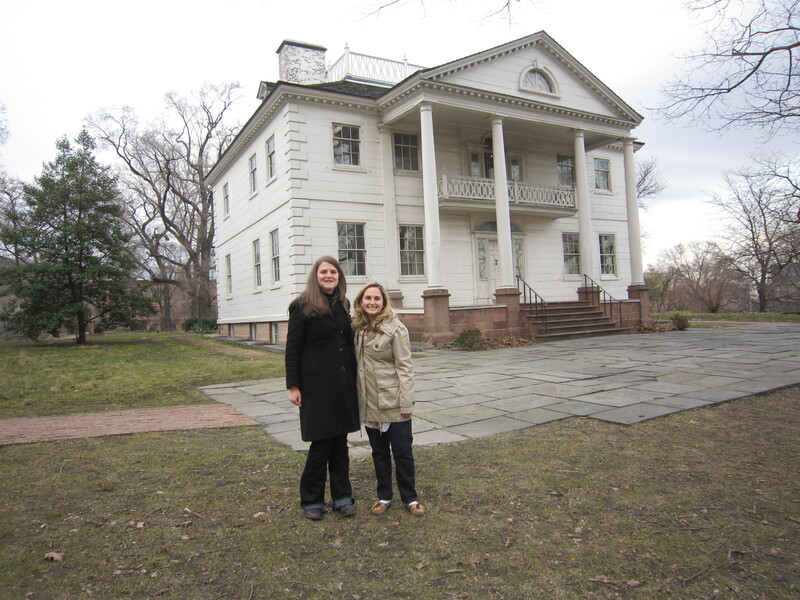 Our first stop was the Morris-Jumel Mansion, which is the oldest house in Manhattan and technically in Washington Heights/borderline Harlem. 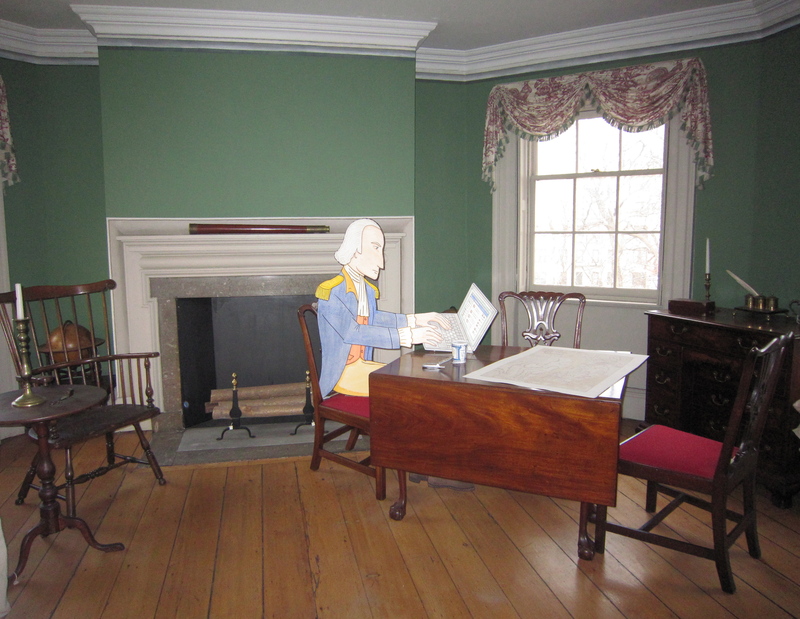 George Washington used the Morris-Jumel Mansion as his headquarters during the Revolutionary War. 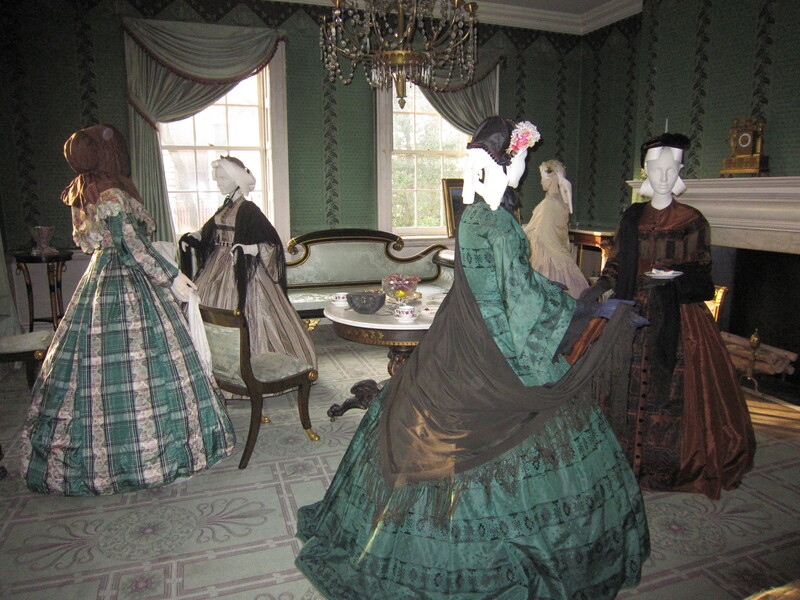 I last visited the home in middle school and I was excited to see the addition of mannequins in historical costumes. 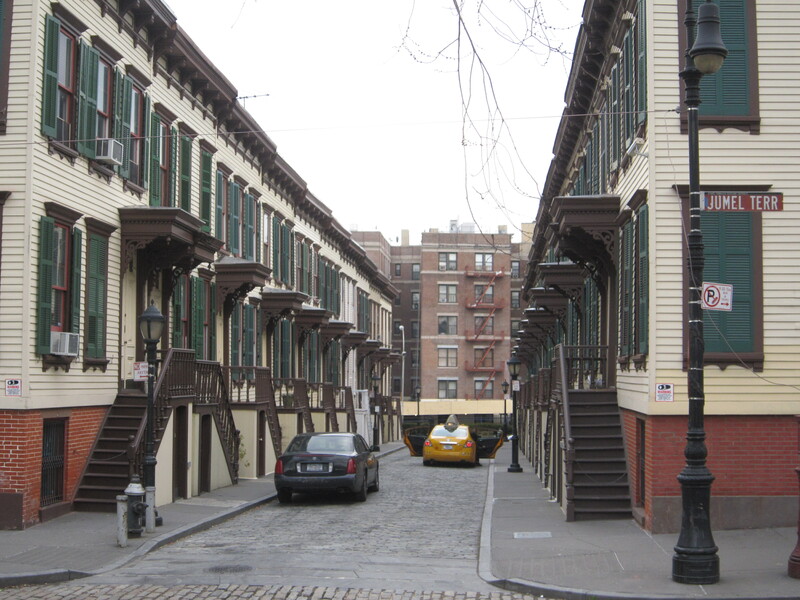 After doing a self-guided tour, we admired the architecture of Sylvan Terrace, which is a block of historic wooden row houses across the street. All of the homes, with the exception of one holdout, were restored in the 1980’s with Federal funds. 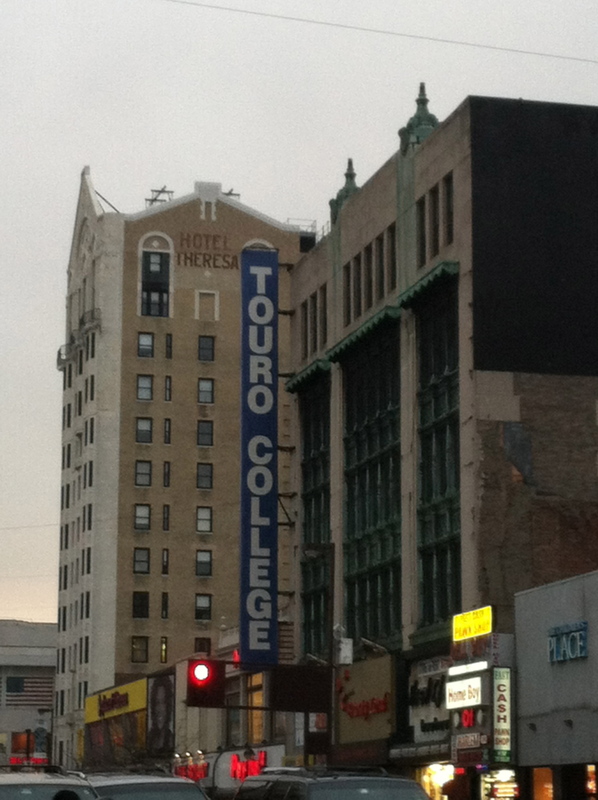 We walked from Sylvan Terrace to our first official stop in Harlem, the City College of New York (CCNY) campus. 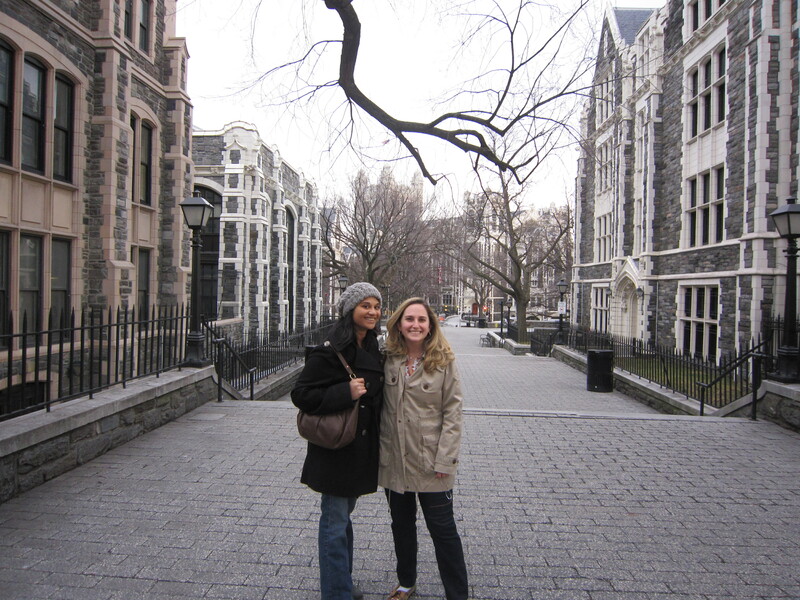 CCNY was the first public institution of higher education in the United States and the school’s Collegiate Gothic campus is GORGEOUS. The campus is 35 acres and runs from 130th Street to 141st Street. City College campus is very reminiscent of the Ivies and Seven Sister schools. We continued our walk to 125th Street, which is the most famous street in Harlem. There are a lot of large stores on 125th Street and some signs of gentrification (MAC makeup, H&M). 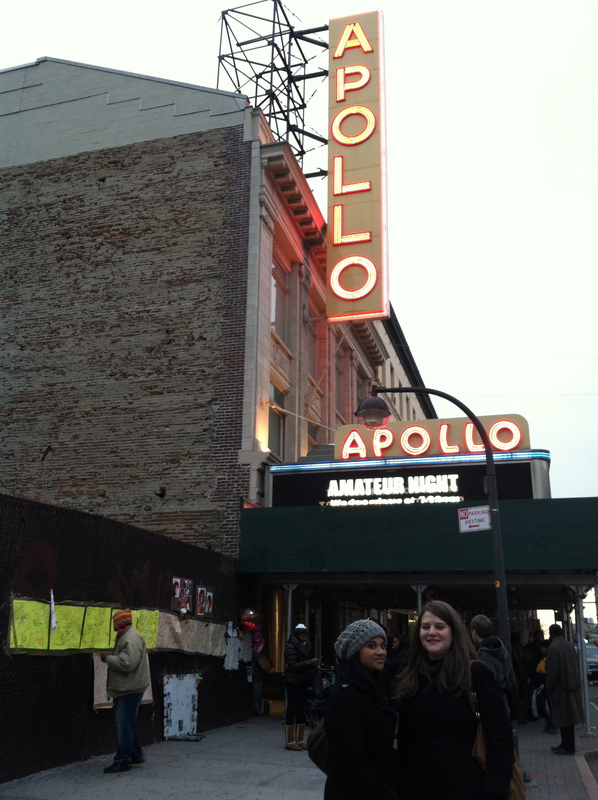 We stopped at the Apollo Theater, where an informal memorial wall was set up outside for Whitney Houston. 125th Street (Hotel Theresa was Fidel's lodging of choice on his 1960 visit to NYC, but it's now an office and school building). By this time Anya, Beurre, and I were ready for a pick-me-up, so we headed to Patisseries des Ambassades, which is a West African/French bakery and café on 119th Street. They had tons of delicious looking French pastries. I asked the waitress what was the most popular (always a good way to go when you are indecisive/everything looks appealing) and she said the almond croissants, but they were sold out. Instead I ordered a latte and chocolate almond croissant and it was the best (and also the only) chocolate almond croissant I’ve ever had (this sets a low standard, but still it was outstanding!). After coffee we walked around Lenox Avenue where we passed many beautiful brownstones, the historic Lenox Lounge Bar, and other impressive architecture. Unfortunately it started raining, so I didn’t take any photos. We stopped at Swing Concept Shop, which was a very cute boutique with dear prices. 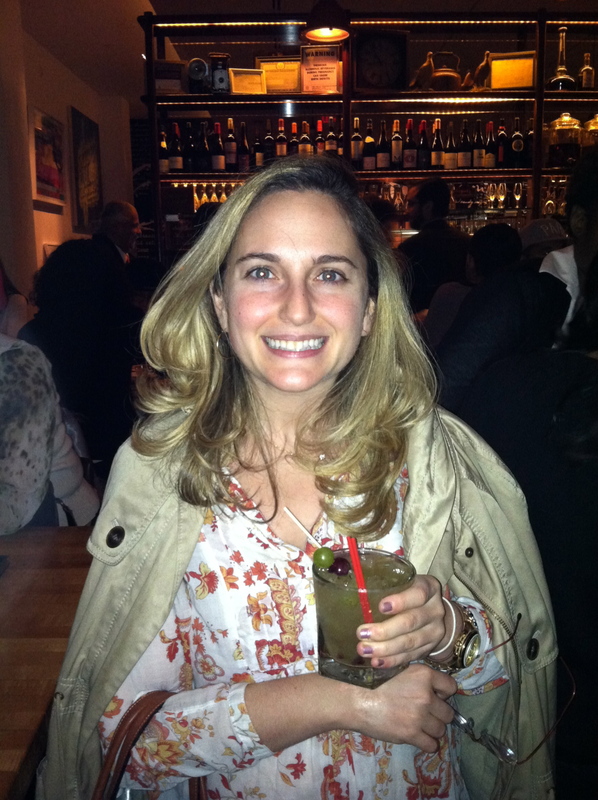 We were planning on checking out more boutiques, but it began POURING, so we headed to the Red Rooster for cocktails. For those of you not in the know, the Red Rooster is a soul food restaurant owned by the acclaimed Swedish-Ethiopian chef Marcus Samuelsson (formerly the executive chef at Acquavit). As the site of a $30,800 per plate Obama fundraiser last year, it’s probably the trendiest restaurant in Harlem. I read online that it’s impossible to get dinner reservations and since I’m not a big soul food fan anyway, I was happy just getting drinks there. I LOVED the atmosphere! The décor was lovely and it nice to see such a diverse crowd. I also greatly enjoyed my drink (the Savoy = vodka, lemon, muddled grapes, agave), which tasted very refreshing. Following cocktails we headed back downtown to change for dinner, but we were all in agreement that we want to go back to Harlem on Anya’s next NYC trip. Hopefully it will feature better weather! Even though I don’t love soul food, I liked the Red Rooster so much that I am now curious to try the food. You might see it in another post soon!